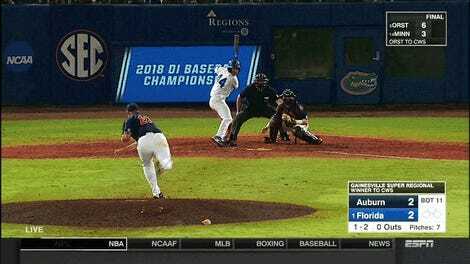 Arkansas beat Oregon State in Game 1 of the College World Series finals tonight, 4-1, and they pretty much cruised through the back half of their win. 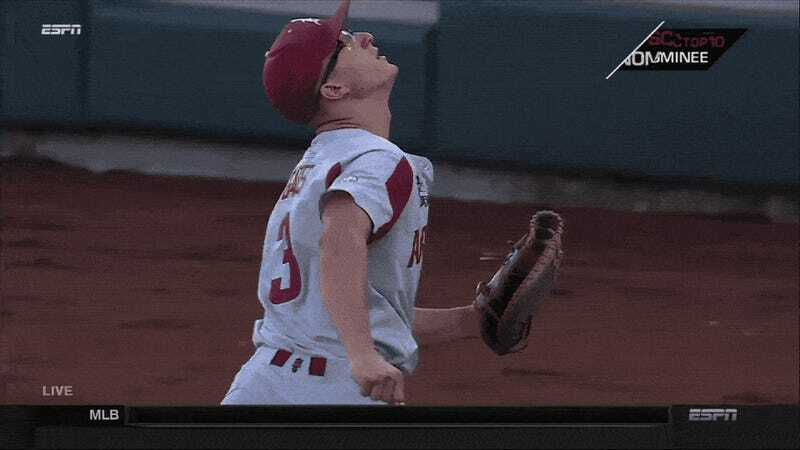 But one guy who could never be accused of giving less than 150 percent tonight was Razorbacks first baseman Jared Gates. In the fifth inning, Gates made a heavy sacrifice on a catch in foul territory by giving up a pain-free body and a clean face, and he earned just one measly out for it. With a three-run lead and nobody on base, that may not be a fair trade.